Rose qualified as dental nurse in 2002 Temp Dent College. 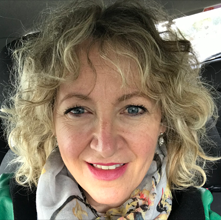 She has since worked as a Dental Assessor – assessing dental nurses doing the NVQ dental nursing qualification and as a Recruitment Agency manager. Rose joined the team at Smilecraft in August 2017 and has settled in nicely. Outside interests include millinery, experimenting with cooking and travelling.